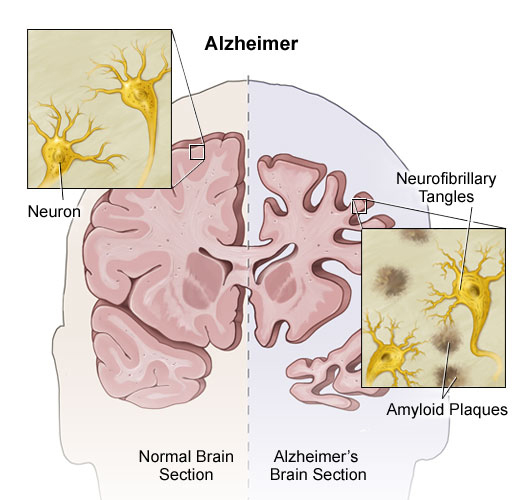 Alzheimer's is a disease that causes problems with memory, thinking and behavior. Symptoms usually develop slowly and grow over time, becoming severe enough to disrupt daily life. Alzheimer's is the most common form of dementia. Alzheimer's treatments cannot stop the disease from growing, they can slow the worsening of dementia symptoms and improve quality of life for those with Alzheimer's and their caregivers. For more detailed information, go to our health library.